This is a day for action to save net neutrality. The concept of Net Neutrality is simple: Your internet provider should not be able to slow down your browsing on certain pages, be able to block websites or charge extra fees to make sure content reaches you. All legal content is treated the same -- that is what is fair and democratic. Technology Giants like Amazon, Spotify, Reddit, Facebook, Google, Twitter, and many others are rallying today in a so-called “day of action” in support of net neutrality, five days ahead of the first deadline for comments on the US Federal Communications Commission’s planned rollback of the rules. 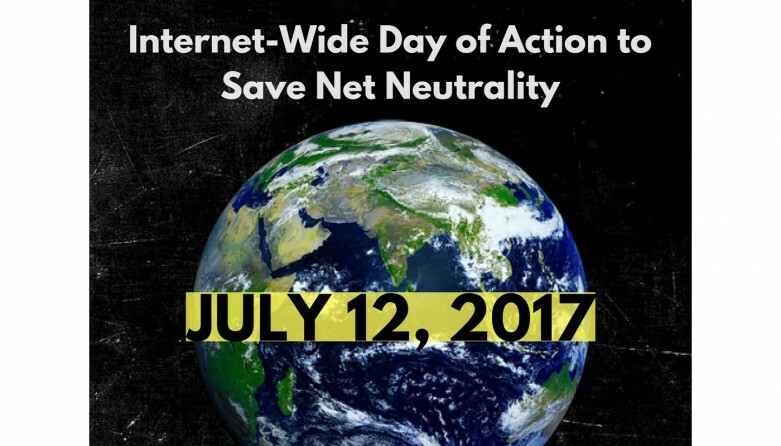 In support of the "Internet-Wide Day of Action to Save Net Neutrality", more than 800,00 websites are displaying alerts, ads, and short videos to urge the public to oppose the overturn of the landmark 2016 net neutrality rules implemented by the Obama Administration. 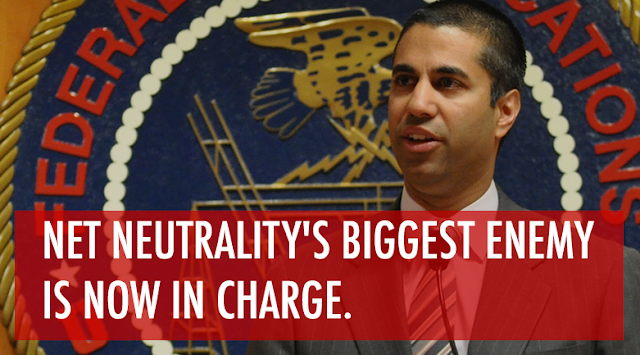 The changes are being proposed by the head of the U.S. Federal Communications Commission, Ajit Pai. Contact the office of Ajit Pati, FCC Chairman 5 Calls provides contact information here. Sign a petition sponsored by Battle for the Net sponsored by Netroots here. Sign up for additional information about the fight for Net Neutrality at Freepress Action Fund here. Visit Mashable and read "Here's how to protest online for the Day of Action to Save Net Neutrality", by Matt Petronzio for additional ideas here.